This is part of a paid campaign with Justice. Views are my own. 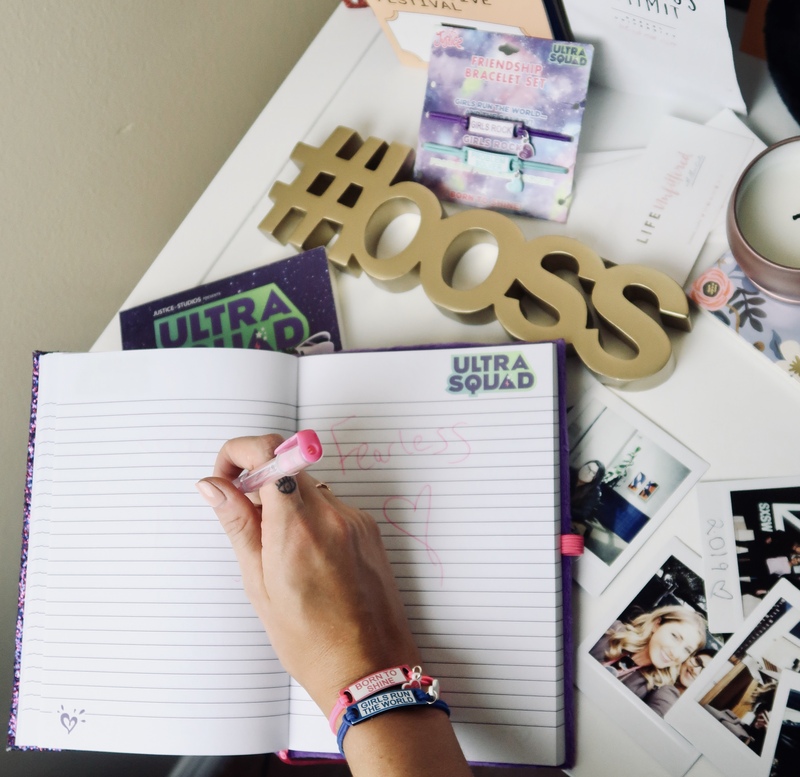 You guys know how much I love a #GirlBoss. 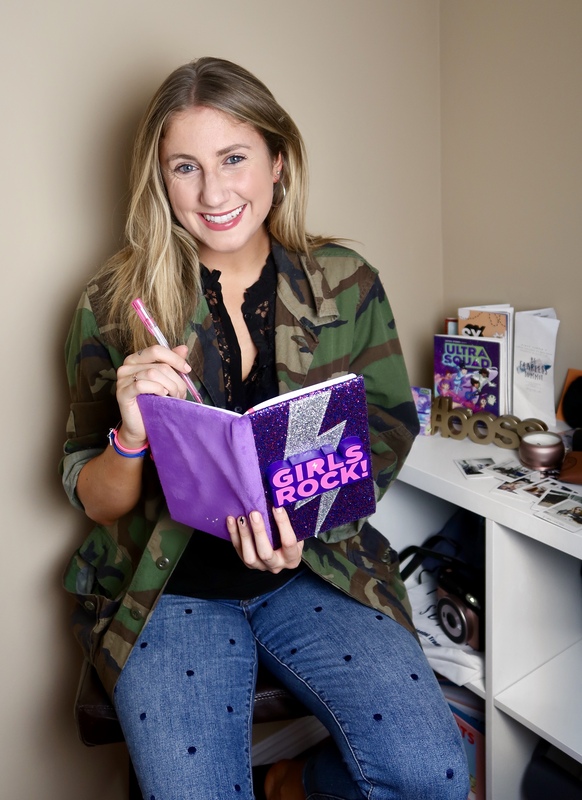 The definition of a Girl Boss, for those of you who don’t know is someone who truly empowers confidence and creativity, usually an equal mix of both to change the world! Growing up, I shopped at Justice all the time. Whether I was at the mall for a shopping trip with my mom, or a girls trip during my junior high school days, stopping in Justice was just as expected as grabbing some Pinkberry. Since I’m a little too big for Justice clothing now (even though I still buy & wear their accessories, as pictured above) they’ve recently released a series of graphic novels by author Julia DeVillers called Ultra Squad. Justice mailed me a few copies of the adorable books with lots of fun and eye-catching photos, and I instantly fell in love! You’re totally never too old to buy from the kids’ aisle or read a graphic novel! 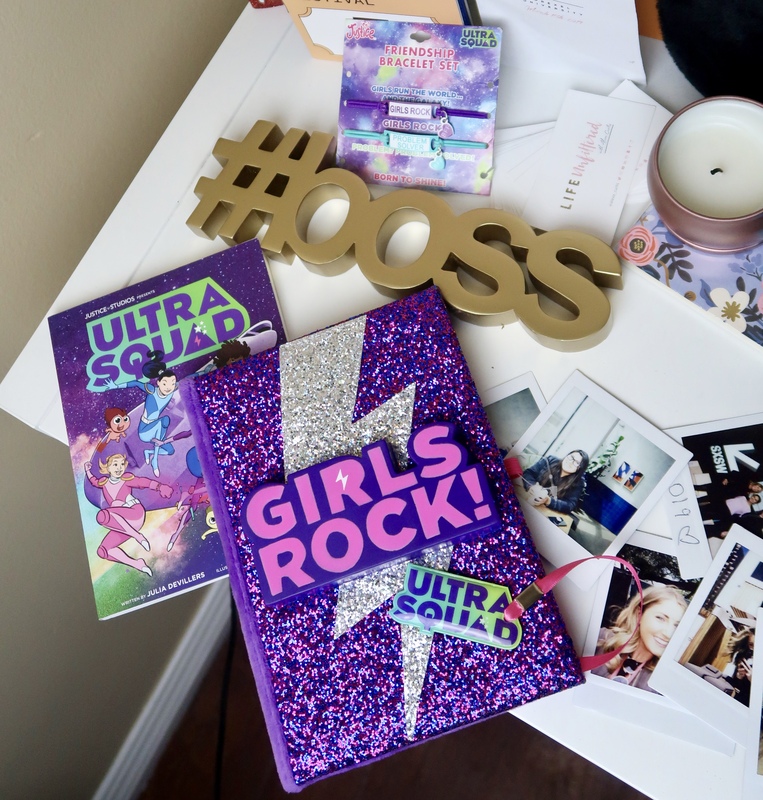 The newest book in the series, Ultra Squad: Under the Strangebow came out March 24th, and certainly showcases everything tweens should be viewing, like size-inclusive models and girl power. You can buy the books directly in stores for $8 each along with some super cute Ultra Squad accessories and clothing. I’m digging the bracelets above, they match my dresses and my jeans! Plus, whenever you look down at your wrist you’re instantly reminded how fantastic you are with one of the motivational sayings on the bracelet. 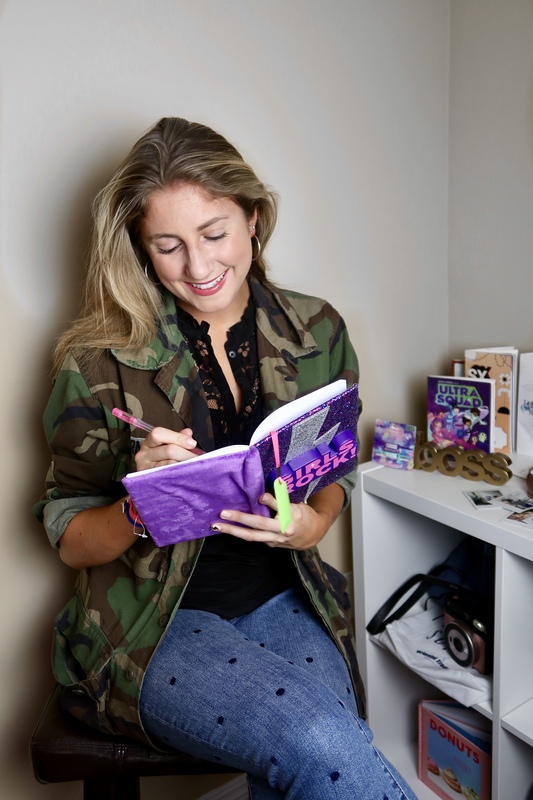 Don’t forget to bring your notebook to school with you or on your way to grab tea or coffee in the morning, you never know when you might have an idea about how to be your own #GirlBoss that you might want to jot down! Stay tuned for some more fun from Justice I can’t wait to take you all along for the ride!